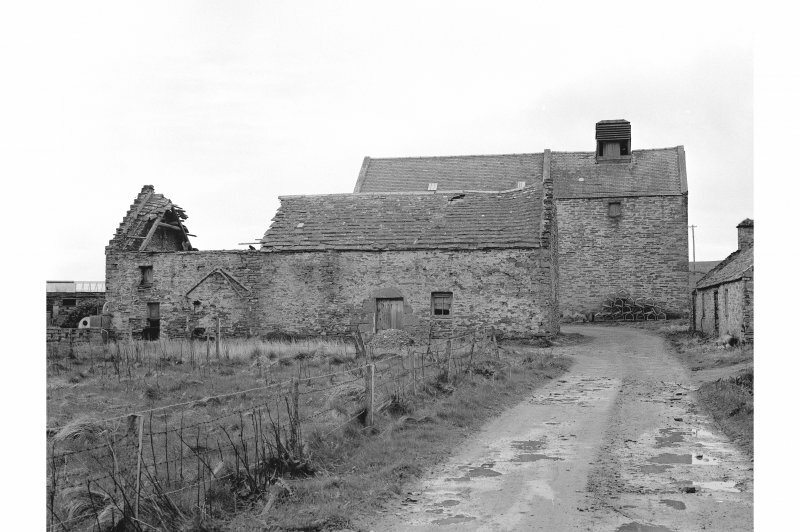 For mill at HY 43848 47958, see HY44NW 83. (Location cited as HY 438 479). 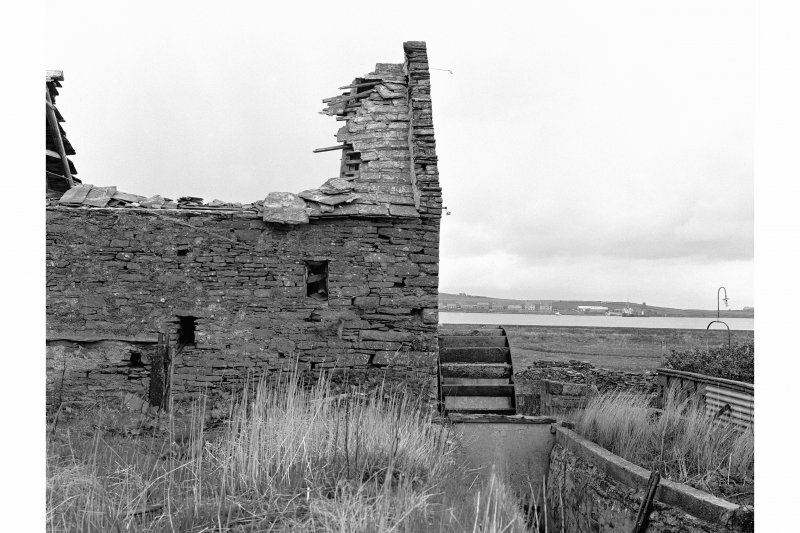 Westray, Trenabie Mills. 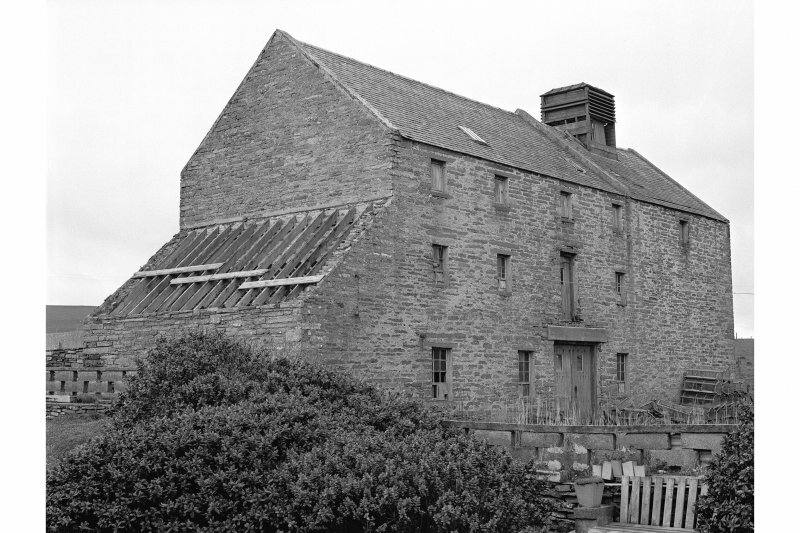 The newer block, built c. 1885, is 3 storeys high, 4 bays long, with a large louvred kiln vent. 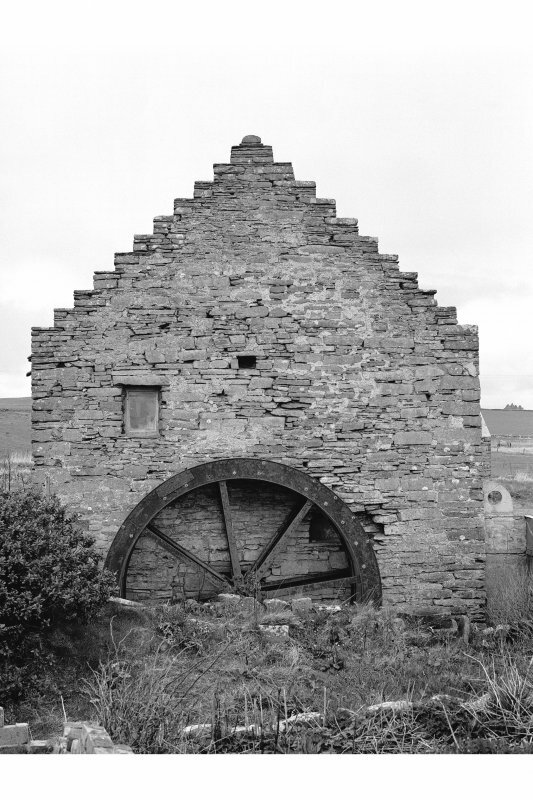 The overshot wheel, about 14ft (4.3m) diameter, and machinery have been removed. 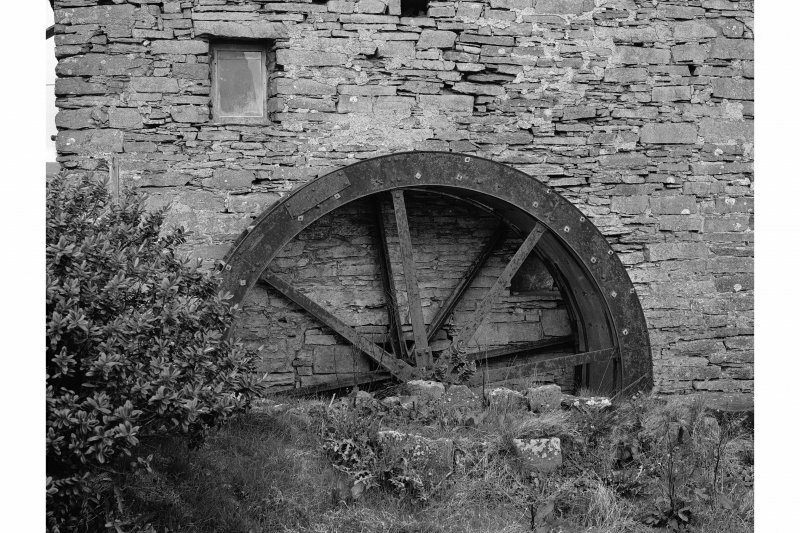 The older 18th century mill, partly ruinous, with crow-stepped gables, retains its 8-spoke mid-breast wheel, iron with wooden paddles, 3ft 7ins (1.09m) wide by 12ft (3.66m) diameter.